$8.6 billion in the first hour. The numbers are astounding, but the reality is that - as in the US and Europe - online sales growth is plateauing due to market saturation caused by a slowing in the number of new consumers buying smartphones for the first time (many, if not most of those who want them already own them). Chinese e-commerce giant Alibaba (BABA.N) said sales topped 10 billion yuan ($1.51 billion) in just over three minutes from the opening of Singles’ Day, an annual online discount sales gala that has become the world’s biggest shopping spree. Once a celebration for China’s lonely hearts, Singles’ Day has become a 24-hour extravaganza that outsells Black Friday and Cyber Monday U.S. sales combined, and acts as a barometer for China’s consumers. 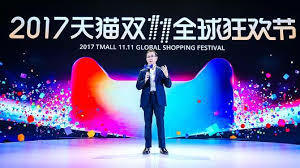 After a star-studded event in Shanghai late on Friday counted down to the sale’s midnight start, Alibaba said gross merchandise volume (GMV) topped 10 billion yuan in a little over three minutes, and had almost doubled, to 19.1 billion yuan, in under six minutes - beating the entire day’s sales in 2012. Tsai said rising disposable incomes of China’s “over 300 million middle-class consumers” was helping drive the firm’s online sales - and would continue. “This powerful group is propelling the consumption of China,” he said. Analysts and investors will closely watch the headline sales number, which is likely to top last year’s total. Spending rose by nearly a third at 2016’s sale - the eighth iteration of the event - but that was slower than the 60 percent increase logged in 2015. “I think prices seem high and I‘m totally lost as to the rules(about discounts),” said Gao Wantong, 21, a student in Beijing, though he said he still planned to stay up late to grab early sales.